You can book hotels in Europe here now. 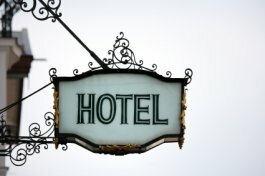 We compare thousands of hotels in Europe for the best price and save you loads on your travel cost. Whether you are going for a few days to Spain, or on a long trip to Paris, Austria, or Luxemburg, wherever you are in Europe, you want to spend your time enjoying all the fantastic sights, good food and wines, not worrying about the cost of where you are staying in. Enter Your Destination Details And Let's Get The Best Hotel deals For Your. Booking hotels in Europe is really easy online. With a hotel comparison tool like what we bring you here, you are able to search the over 300,000 hotels in Europe or narrow your search to your planned destination and get the best price. Yes. You can easily track down accommodation in any European city despite the fact that Europe is obviously a large area and hotels vary tremendously from country to country. Remember too that each country is unique, with its own culture and often its own language. You might find names and places somewhat different if English is not spoken in that country for instance. Each country may require different information when you make a booking. But after all, that all adds to the excitement of the trip, doesn't it? The first thing to bear in mind, even if it seems a little obvious, is, does the staff speak English? If you call the hotel and no one can speak to you, or you go online and the website is difficult to understand due to very bad English, then, unless you speak the language of the country, it is probably best to avoid that hotel, since communications will be difficult. Capital cities usually have the most expensive accommodations in the country, so if money is really tight try to stay just outside the capital, and travel in each day. Staying in the Capital too could have it's advantage as you may be more likely to find and meet people who speak your language, if the home language is different from yours. It can often be helpful to try and find out if the hotel has a restaurant, since if it does, you know that on the evenings when you're too tired to go out, you can just slip downstairs and find some (hopefully) good food awaiting. Remember that in some of the countries that are now part of Europe but used to be part of the Eastern block, hotel standards may vary. The big, international hotels may be of comparable standards, but the smaller, independently run ones can often be quite different, based on the host. This often makes a refreshing change from the very 'typical' hotel room, so don't discount these types of hotels.